We’ve also integrated Microsoft Baseline Security Analyzer 2.3 into Heimdal PRO and Hiemdal CORP, so you can install it swiftly. Once you’ve identified the vulnerabilities in your environment, the next step is to find and apply the necessary updates. Fast. Thanks, Andra, for sharing an informative stuff. The guide you had provided regarding Windows update is really useful and informative I regularly follow your post, Earlier I was also facing issues regarding Windows updates so I had contacted Windows Powershell Customer Carefor my issue and the help provided by their technical team was really good, they are ready to help users at any time. Thanks, Andra, for sharing an informative stuff. This information is really helpful. 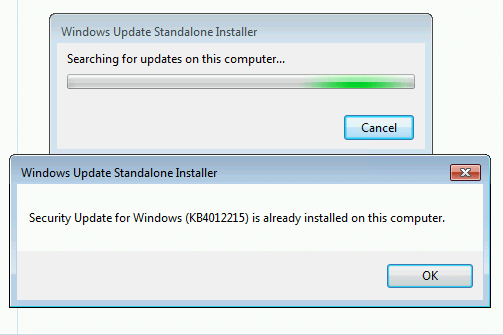 this method for updates is good, but there is another one much faster and use microsoft update cab file that are updated every day. 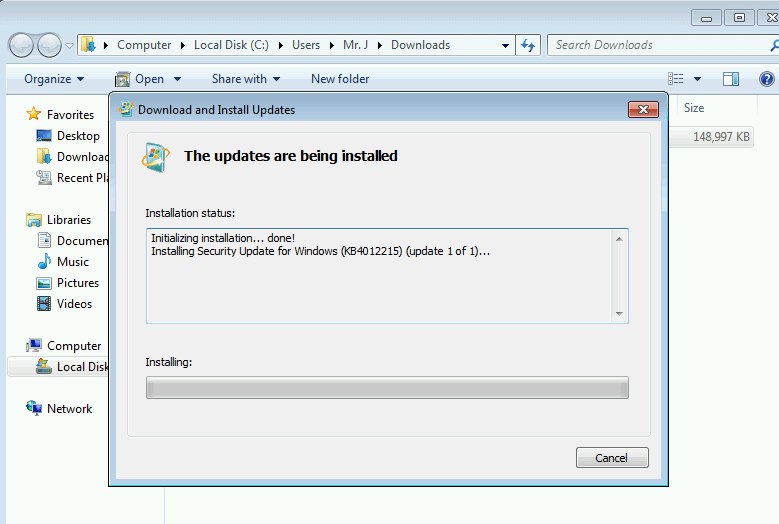 WSUS Offline Update is using these windows update cab files to get all updates need for your operating system. I am running Windows Vista SP2 and when I click on the downloaded patch, a window appears saying “searching for updates” and an hour later, it is still searching. Any help would be greatly appreciated. it cannot be installed in your computer? Is Ubuntu 16.04.2 vulnerable to ransomware? If not properly updated and protected, it can be. Hi. For us with automatic updates (just cheched and there are no Available updates) and Windows 10, will this not install automatically? Or do I need to download this my self? Windows 10 already installed this update when it came out, so no need to worry. I am running windows 10 professional and running the microsoft baseline security analyzer from the heimdal patching system, it indicates that “The Automatic Updates feature has not been configured on this computer”. The link indicating how to solve the problem mentions only older systems (Windows Server 2003, Windows XP Professional, or Windows 2000, windows 2008 and windows vista). As far as I understood, windows 10 automatically updates. Do I have to worry on this message on vulnerability/how do I solve the problem if it is a problem at all? If you have Windows 10, you already have this update installed, so no need to worry. But it helps to have multiple layers of protection anyway, even if this particular vulnerability is patched. For windows 8.1 only a win32 patch and amd64 patch exist, right? Tried both cause the amd64 might be a typos but neither worked with windows 8.1 64bit (intel). The security analyzer, like most errorware from MSFT, is essentially useless. If one blurs his IPS, how can the scanner be directed to scan one’s 23 active computers? Microsoft removes logic and insightfulness then ignores actual user approach when it writes any software. Add to that a fundamental flaw in the winOS services allocation system that is unfixed and all winOS’s remain insecure. I can’t understand why anyone uses any MSFT errorware. Someone needs to write another OS. Unfortunately, David, this is something we cannot fix. We wish this version worked for all operating systems, but the limitations don’t depend on us. I am really puzzled about the Microsoft Baseline Security Analyzer 2.3. It seems to be an outdated tool covering only up to Windows 8.1. Windows 10 is not covered, and the advice given by the tool following an analysis run are almost useless, as the Control Panel is configured differently in Windows 10 than in previous Windows versions. E.g. it says that my laptop has four user accounts (my own, Admin, Default and Guest) , 3 of which has weak passwords, but the Control Panel/Computer Management does not cover User Accounts and the Control Panel/User Accounts section shows only one (my own). So I find the Microsoft Baseline Security Analyzer 2.3 to be of only marginal benefit to windows 10 users. As much as we wish we had a solution for everyone, unfortunately, it doesn’t depend on us. 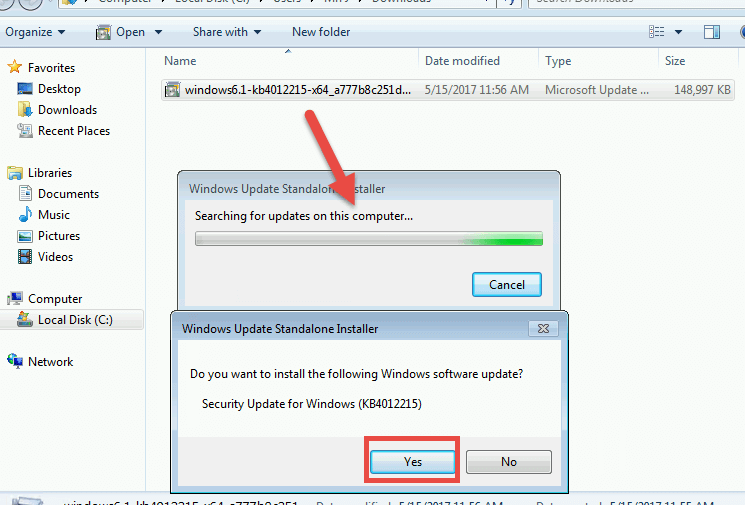 Indeed, Windows 8 and Windows 10 users have to follow the manual approach to verifying updates. In step 1 above you have missed out Windows 10, which is vulnerable according to the Microsoft website: https://technet.microsoft.com/en-us/library/security/ms17-010.aspx. By leaving Windows 10 off your list you could leave users thinking they are safe when they are not. Hi Dave! Indeed, sorry for that. I’ve updated the list to include Windows 10. Hi Preben! The notification might be different on various Windows versions. This is the one we tested it on. The important thing is to have the update installed, so kudor to you for doing that! hey does it need to be online? Hi Paul! Yes, you will have to be online to do this.